There are so many different small kitchen appliances to choose from. If you have limited space in your kitchen, or you like to keep things simple, you may want to only choose kitchen appliances that are versatile and can be used to prepare many different types of foods. One appliance that can save much time and effort in the kitchen is an electric pressure cooker. These appliances, like the Instant Pot and other brands, are much easier to use than the older versions of pressure cookers. An electric pressure cooker can cook meats and other foods much quicker than other cooking methods. 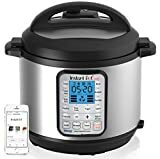 With the recent popularity of these appliances, you can easily find many different recipes online to prepare your favorite foods in the pressure cooker. These appliances can cook beef, chicken, beans, pork, vegetables, and many other foods. 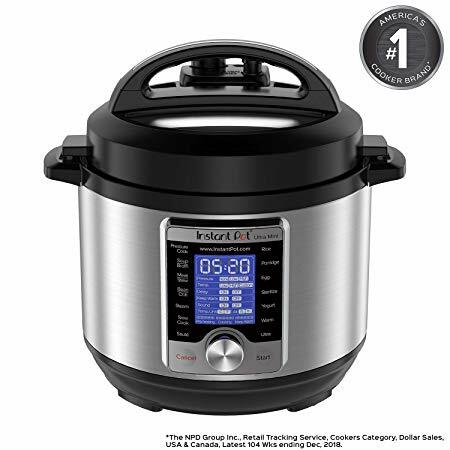 The following is a list of the 10 best instant pots based on reviews by consumer report. 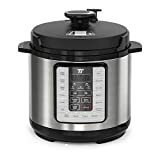 The TaoTronics TT-EE006 Electric Pressure Cooker has the following preset options: pressure cooker, slow cooker, stew, saute, rice cooker, yogurt maker, food warmer, steamer, egg maker, and soup maker. The cooker also comes with a rice spoon, meat spoon, measuring cup, steamer accessories, and an extra silicone seal. 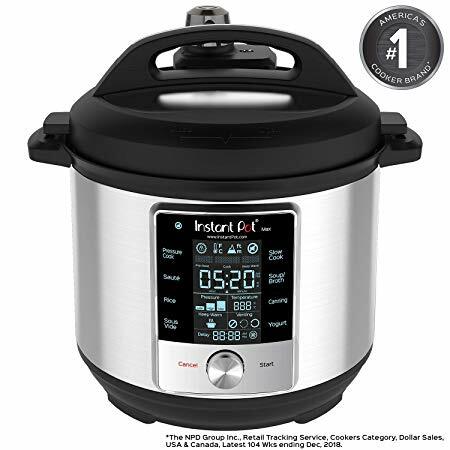 The Instant Pot Max 6 Quart Multi-use Electric Pressure Cooker has a sustained PSI of 15 which allows you to pressure cook and can food at home. This cooker has a large touch screen that allows you to adjust the time, temperature, pressure level, delay start, and warm setting. The inner pot is made from food grade stainless steel. The Power Pressure Cooker XL has a 6 quart capacity. This cooker allows you to cook meals up to 70% faster than standard cooking methods. It uses flavor infusion technology to trap steam inside the pot while cooking to make your food stay moist and flavorful. This pressure cooker has a safe lock lid with manual steam release. This 10-in-1 kitchen appliance from Mueller Austria is equipped with German engineering for durability. 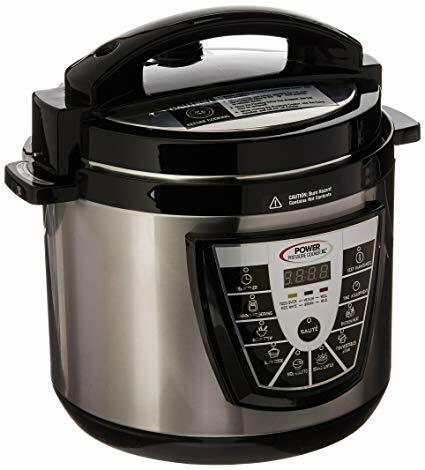 This machine can act as a pressure cooker, slow cooker, yogurt maker, rice cooker, steamer, and more. It has high quality rubber seals and heat resistant handles. It includes a bonus stainless steel rack that allows you to cook 2 different foods at once. The Instant Pot Smart Smartcooker has Bluetooth technology that allows you to easily control the functions on the machine using a compatible mobile device. This cooker has a stainless steel cooking pot and stainless exterior for durability. It includes 14 different cooking programs and an automatic keep warm setting. The Ninja Foodi 1400-Watt pressure cooker can also steam and air fry. 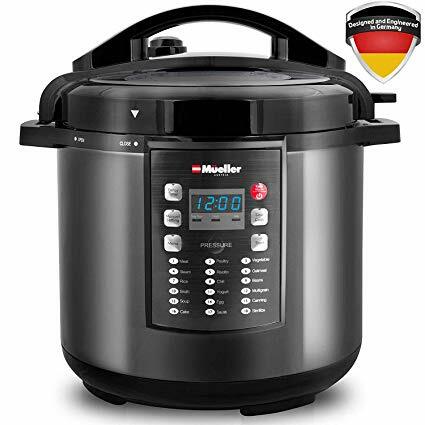 This machine includes a 6.5 quart pot made with a non-stick ceramic coating. It also comes with a 4 quart cook and crisp basket. The included crisping lid allows you to make healthier versions of fried foods like chicken, potatoes, and appetizers. 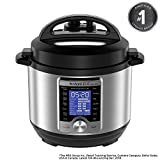 The Instant Pot Ultra 3 Quart 10-in-1 programmable pressure cooker has simple twist and click programming for ease of use. This machine is energy efficient and it has a safe design. It includes a large display screen that allows you to easily choose among the 16 different cooking programs. 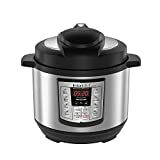 This smaller pressure cooker from Instant Pot has a 3 quart cooking pot and many different cooking programs to prepare different foods. 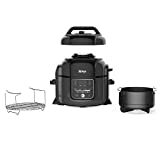 It combines the following 9 appliances in one device: slower cooker, pressure cooker, rice cooker, yogurt maker, steamer, warmer, sterilizer, saute, and egg cooker. The Instant Pot LUX Mini combines the following 6 appliances in one: slow cooker, pressure cooker, rice cooker, steamer, saute, and warmer. 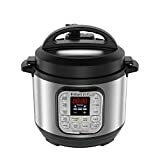 This pressure cooker has a stainless steel inner cooking pot that’s durable and safe to use at high pressure. It has a time delay that can be set for up to 24 hours so your food is hot and ready when you need it. The Instant Pot Duo Mini acts as several different cooking appliances to save time and space in your kitchen. This versatile pressure cooker can quickly prepare even the toughest cuts of meat. Its compact size makes it ideal for smaller households or to be used to make side dishes like veggies or rice. An electric pressure cooker like those from Instant Pot and other brands can be an ideal addition to any kitchen. These devices are safer and easier to use than the old-fashioned pressure cookers that many people are familiar with. 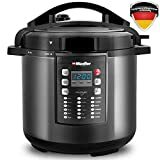 An electric pressure cooker can save a lot of time and energy when you’re cooking tough meats which also allows you to save money since you can buy cheaper cuts of meat. A pressure cooker can also be used to prepare rice and other sides. Plus, many can also function as a slow cooker, rice cooker, yogurt maker, and other convenient small kitchen appliance. 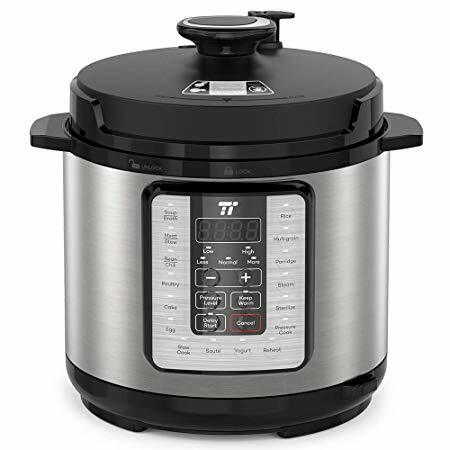 When you’re choosing the right electric pressure cooker it’s important to consider the capacity that you need based on the size of your household. There are many small options like the 3 quart that would work well for a couple or small family. Those with more mouths to feed would likely need a larger capacity cooker. 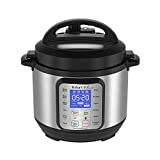 It can be helpful to read online reviews from other consumers to help you choose the best pressure cooker for the money you want to spend.